Crusaders was going to be the biggest game ever released, offering something that no other game in history had: players who finished the game would unlock a map that led to a million dollar treasure. 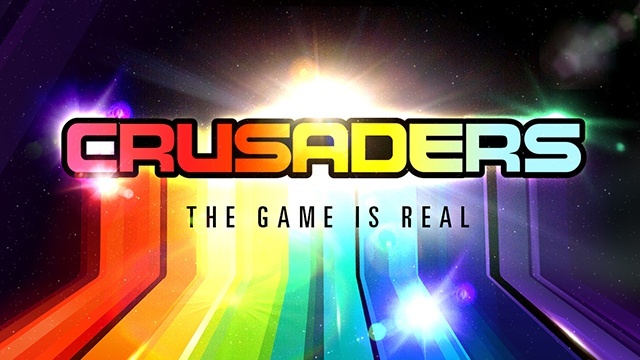 Only one problem, the game was never released, and Crusaders became nothing more than an urban legend. Twenty years later, four kids team up with two of the game's original designers to beat the game and track down the still-hidden treasure. Finding rare game cartridges and prototype consoles are only the beginning of this nearly impossible quest. The team is also being tracked by a one-time whiz-kid game designer who will stop at nothing to find the treasure. Crusaders is a rollicking coming-of-age comedy adventure. It's The Goonies for the video game generation.